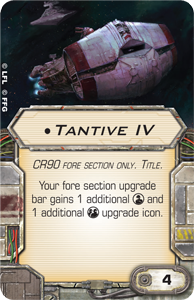 Previously FFG announced the weaponry available to the Tantive IV, including Single Turbo Lasers, Quad Laser Cannons, and an Ionization Reactor, which will soup up the CR90 into a legit fighting force. With today’s announcement we’ve been given some details about the first campaign and the three possible missions that are included with the expansion. The missions all tie together and create what sounds to be a fun and exciting adventure requiring lots of tactical teamwork as the Tantive IV is dogged by the Empire and in need of Alliance reinforcements. 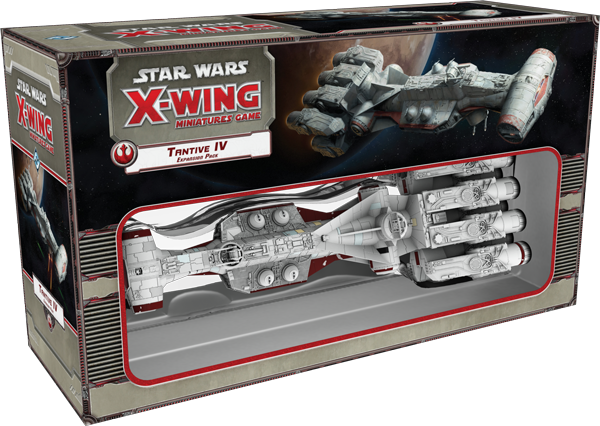 We’ve been impressed with the quality of the miniatures of this series thus far, and the Tantive IV seems to meet–and exceed–all of our expectations! Fantasy Flight once again makes a serious play for our gaming dollars. Stay tuned for more info on the BIG ships coming from FFG!